Welcome message from Burger King's EVP and President of North America, Alexandre Macedo. We back every franchisee with more than 58 years of innovation, achievements, and a proven business model. With various franchise opportunities available, we can ensure we will help you make the right decisions so you can hit the ground running and grow your business, quickly and easily. And your options are limitless. 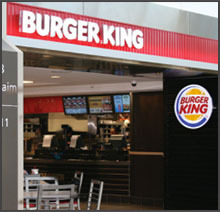 As we continue to grow the BURGER KING® brand, we remain competitive by offering franchising opportunities through multi-unit acquisitions and new restaurant development. We have the recipe for success and are determined to empower you with first-class knowledge resources and support needed to be a member of the BURGER KING® family. There has never been a better time to become a BURGER KING® franchisee. We stand ready to support your franchising & development plans. Are you ready to take action? In order to accommodate a person with a disability, upon request, we will make this application form and other relevant information available in a format that best suits the accessibility needs. Get more information on becoming a BURGER KING® Franchisee. 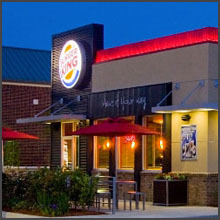 Have a great site for a new BURGER KING® location? Let us know! 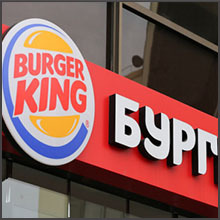 Get more information on International Burger King Franchisee Opportunities.